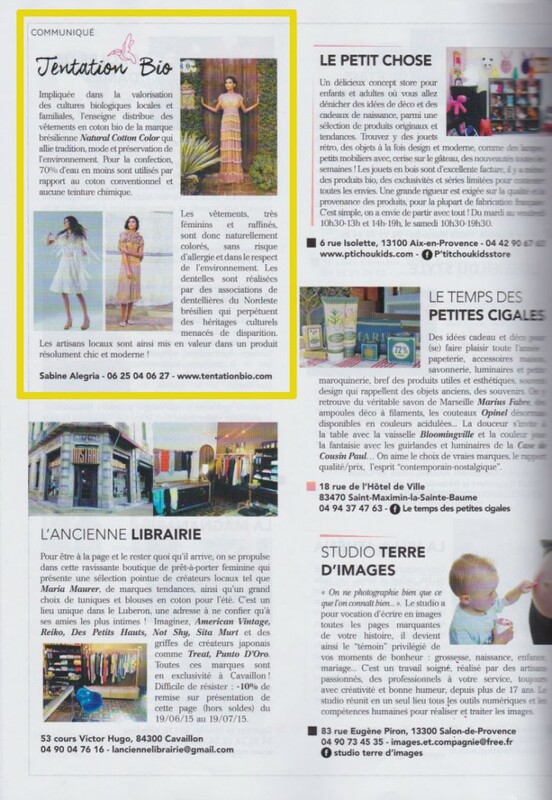 Elle France – edition 42/June 2015 – highlights organic colored cotton products. New Embrapa’s research reveals that water saving is 87.5% compared to the dyed cotton. 42th edition of the French Elle magazine indicates colored organic cotton products.